Well, western Washington is taking a little break from summer. 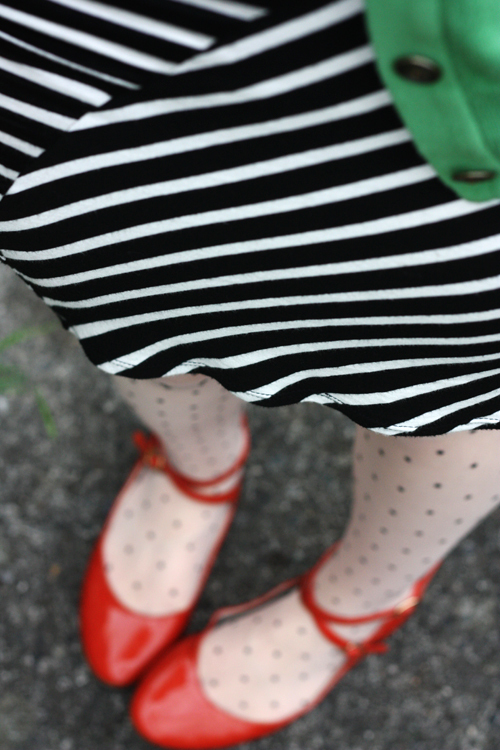 Today was cloudy and drizzly, but that was okay by me because I got to put some tights on! 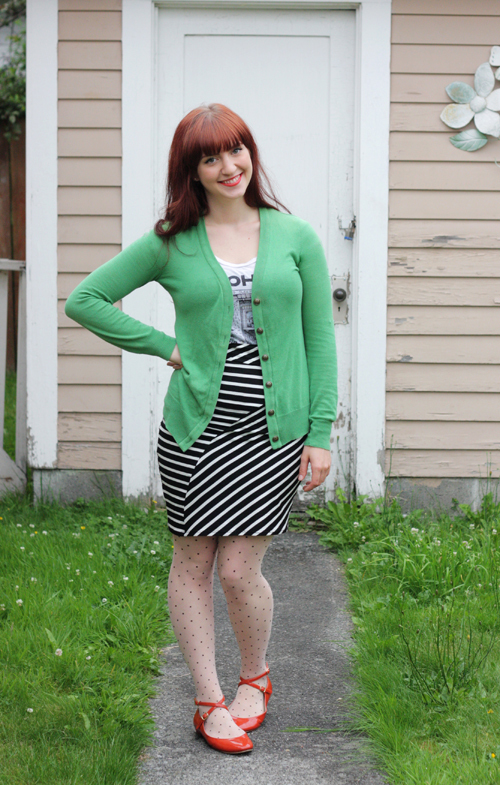 I wore this comfy outfit to go out to lunch with my friend Megan, who is getting married in just a few short weeks! I'm super happy for her, but also sad because she will be moving about 2 hours away. I will be doing her makeup on her special day, and will be sure to take lots of photos. Little kitty Atticus is already getting bigger! I was told he was about 7 to 8 weeks, but the vet told me he was probably around 4 or 5 weeks. He has put some weight on, and his eyes are less goopy. He is full of energy and not trying to nurse, so I'm guessing he isn't quite as young as the doctor thought. Tommy started a new job today at a local store selling Apple products. So happy that he found a full time job that he will enjoy! To celebrate, we enjoyed a bottle of champagne and burritos. Because you know...nothing pairs better with big messy burritos than classy champagne. 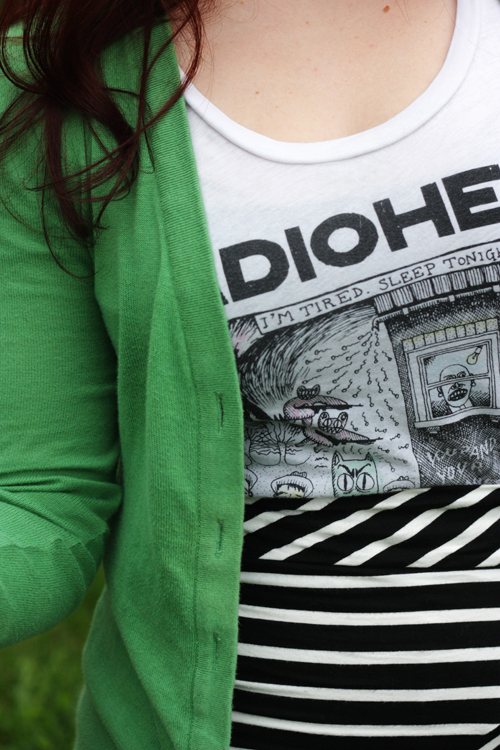 The colours and patterns go together amazingly. I love this outfit! You look adorable. This is such a cute outfit I love the tights!! I love this skirt! 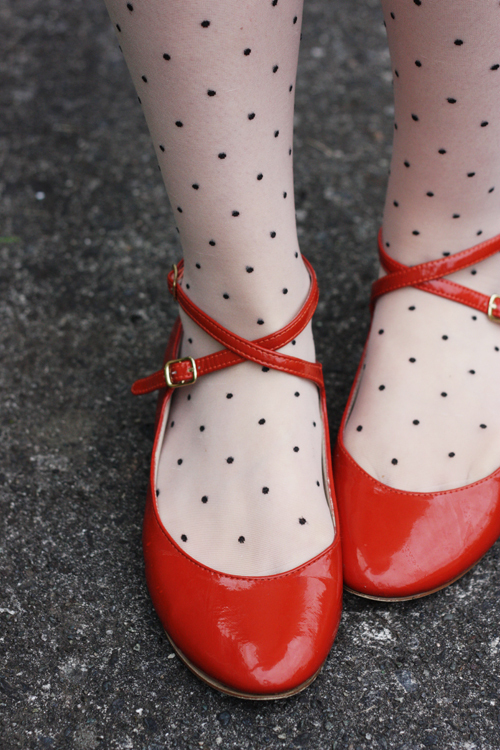 Especially paired with the polka dot tights and red shoes, super cute! Your blog caught my eye a while back, nice to finally say HI! cuteeee, i love all the colors and patterns! 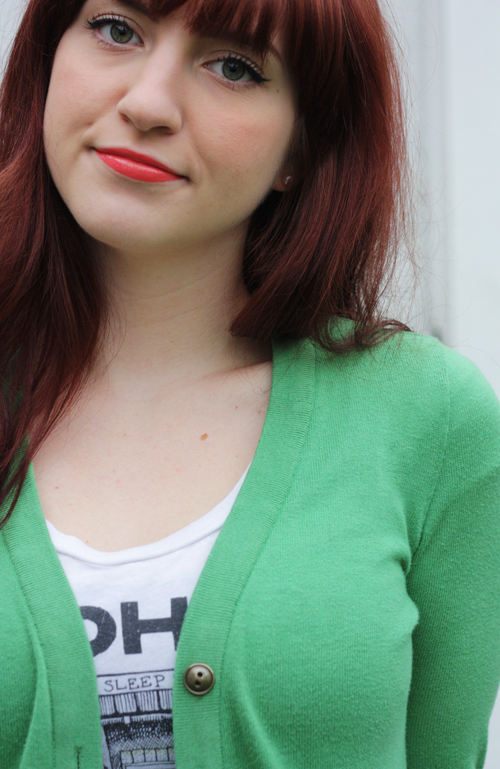 that cardigan is the perfect color, i love it!